Wentworth Earl Miller III (born June 2, 1972) is an American actor, model, screenwriter and producer. He rose to prominence following his role as Michael Scofield in the Fox series Prison Break, for which he received a Golden Globe Award nomination for best actor in a leading role. He made his screenwriting debut with the 2013 thriller film Stoker. 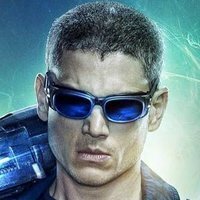 He is currently playing a recurring villain in The Flash as Leonard Snart/Captain Cold and is playing the role as a series regular in the spin-off DC's Legends of Tomorrow. 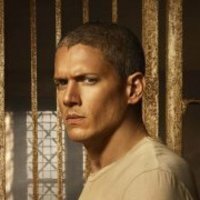 Miller will reprise his role as Michael Scofield for the Prison Break event series in the summer of 2016. 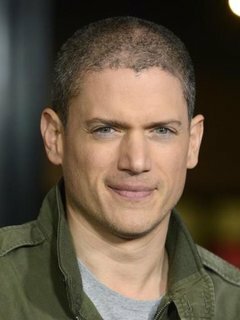 Born in England, raised in Brooklyn, New York, and a graduate of Princeton University, Wentworth Miller is a compelling and critically acclaimed young actor whose credits span both television and feature film. Miller began his career in the industry on the other side of the camera. 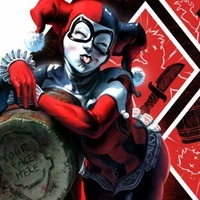 After graduating from college with a degree in English Literature, Miller headed to Los Angeles in the spring of 1995 to work in the development department of a small production company specializing in movies made for television. However, it wasn't long before his desire to realize the acting ambitions of his childhood became undeniable. Within the next few years, he landed guest spots on a variety of shows including Buffy the Vampire Slayer (1997), ER (1994) and Popular (1999). He also starred in the Hallmark "mega-series" Dinotopia (2002). Miller then segued to The Human Stain (2003), a feature film directed by 'Robert Benton' and starring 'Anthony Hopkins' and 'Nicole Kidman'. A movie examining questions of race, class and identity, it featured Hopkins as an embattled college professor struggling to conceal an incredible secret, with Miller playing the same character as a young man. Miller subsequently appeared in the movie Underworld (2003) and guest-starred on Joan of Arcadia (2003) and Ghost Whisperer (2005) before joining the cast of Prison Break (2005), a groundbreaking television series that's quickly become an international phenomenon. Playing a structural engineer who gets himself thrown into the same prison where his brother is on death row in order to break his brother out, Miller was nominated for a Golden Globe for Best Performance by an Actor in a Television Series - Drama in 2006. Graduated from Princeton with a degree in English. According to the special features on the _"Prison Break" (2005)_ (qv) DVD, he auditioned for Superman/Clark Kent when the project was still in 'Brett Ratner' (qv)'s hands. He is a 1990 graduate of Quaker Valley High, Miller moved to Sewickley Heights for his senior year of high school with his father, Wentworth Earl Miller II. His mother Joy Marie Palm, is a Special Education Teacher and a graduate from Yale. His dad now is a former Brooklyn assistant district attorney. Around the time of Dinotopia, Wentworth's parents were in the process of divorce. He is allergic to cats and dogs as well as certain foods. He has 2 younger sisters, Gillian and Leigh, who is the youngest. Gillian is a Lawyer and Leigh is in Law School. Miller's father is African-American, Somalian, Jamaican, British, German and part Cherokee; his mother is Russian, French, Syrian, and Lebanese.